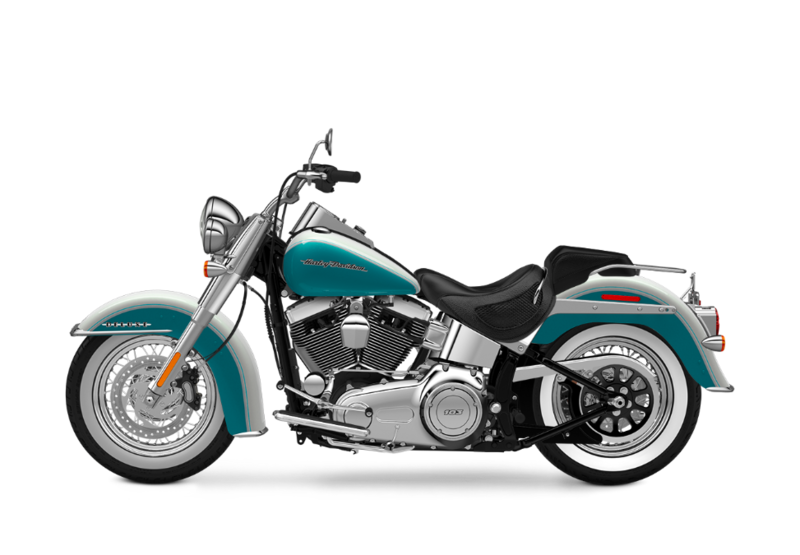 The Harley-Davidson® Softail® Deluxe is a key part of the iconic Harley-Davidson® Softail® lineup, and it provides truly classic styling and timeless performance. The bike you dreamed about as a kid is now available at Riverside Harley-Davidson®, serving the Los Angeles and Inland Empire area. 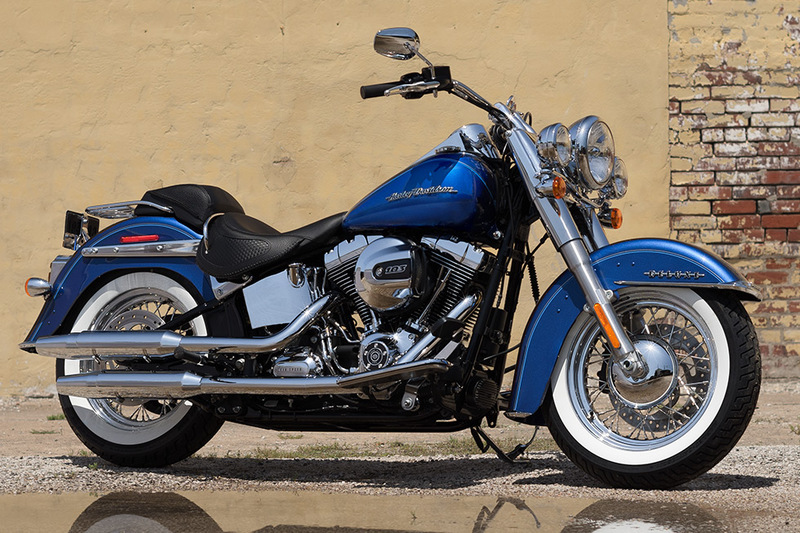 If you’re looking for a truly authentic piece of Harley-Davidson® history, make sure you take a hard look at the Softail® Deluxe! 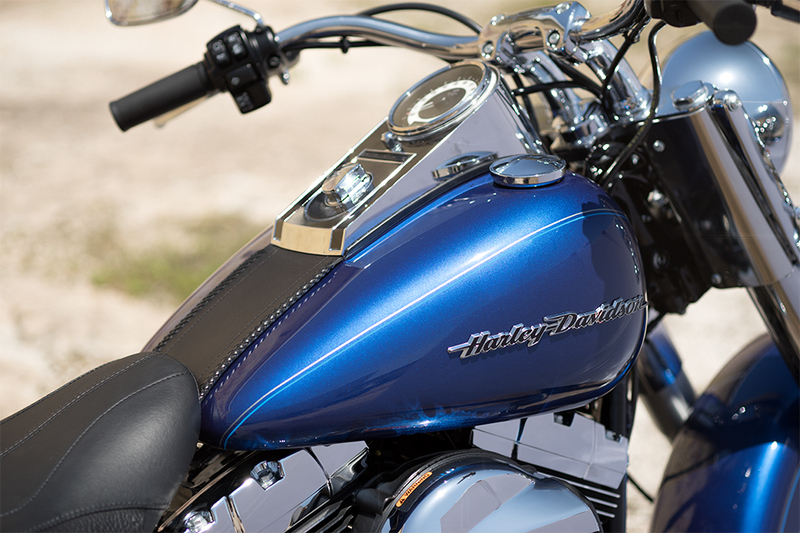 The Harley-Davidson® Softail® Deluxe is laden with premium finishes and features that’ll turn heads and set it apart from any pack you ride with. 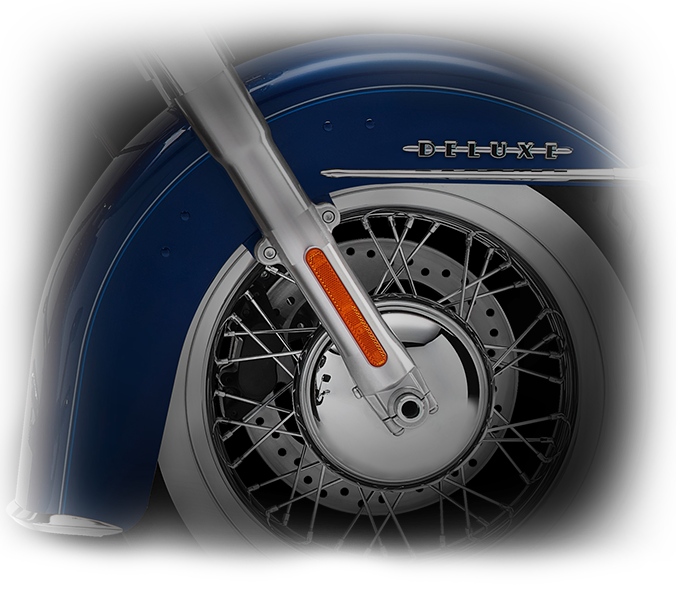 Stretched Old School Fenders: The wheels on the Softail® Deluxe are fully wrapped in gorgeous metal fenders that provide unbeatable coverage from rain and road grit. Whitewall Tires: These classic white wall tires transport you to glory days of dresser bikes. It’s a unique look that’s hard to imitate. 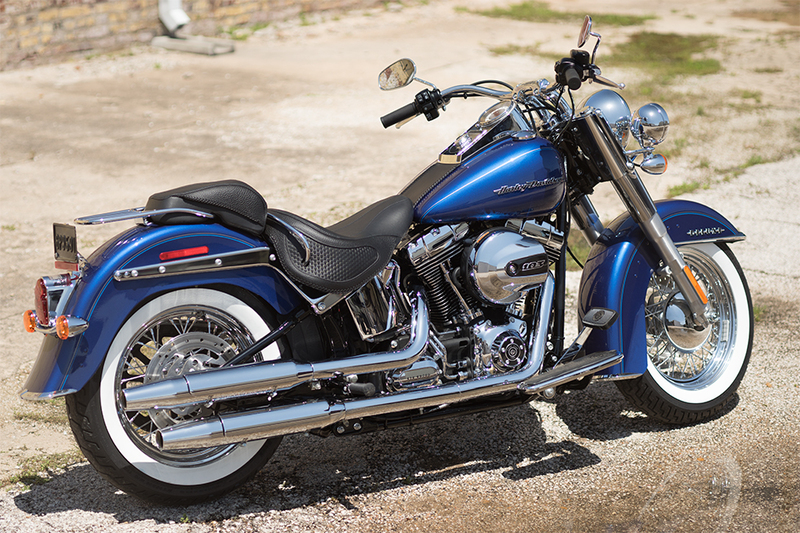 Old School Hardtail Look: As with all bikes in the Softail® lineup, the Softail® Deluxe’s hidden rear suspension combines a rigid suspension look with a more comfortable ride. 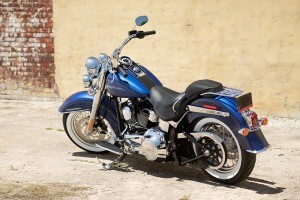 Luggage Rack: The chrome luggage rack adds a bit of shine to the rear fender line, all while providing a place to strap some gear for a long weekend. 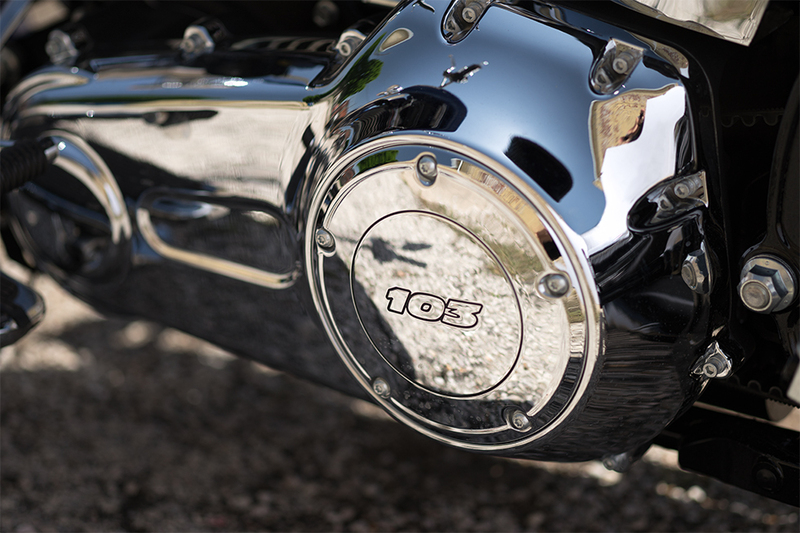 Tombstone Taillight: The low profile chrome taillight housing is a classic signature lighting piece, and it’s complemented by two classic chrome bullet turn signals. 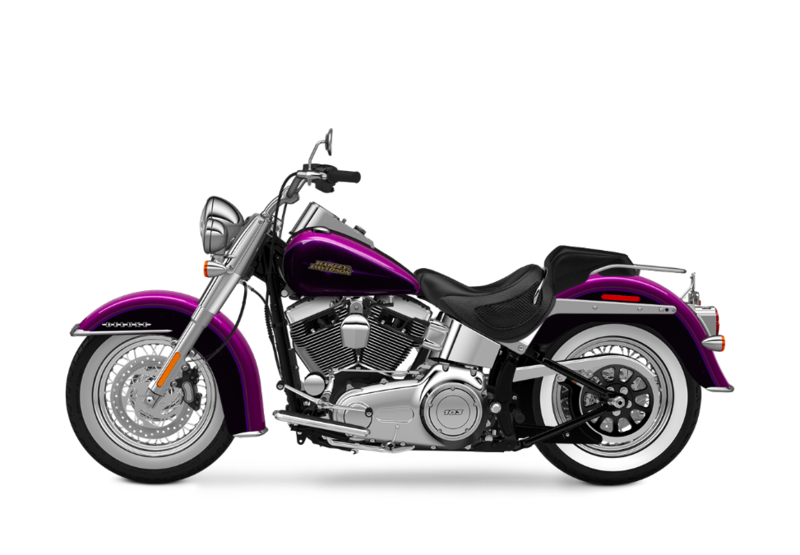 Hard Candy Custom Paint: The Softail® Deluxe is eligible for premium Hard Candy® Custom paint for added shine and sparkle. Hologram Tank and Fender Art: The medallions on the tank and fenders feature a unique, die-cast, deco design, and the tank and fenders are then painted to create a unique hologram effect. It’s a detail you’ll appreciate for years to come. 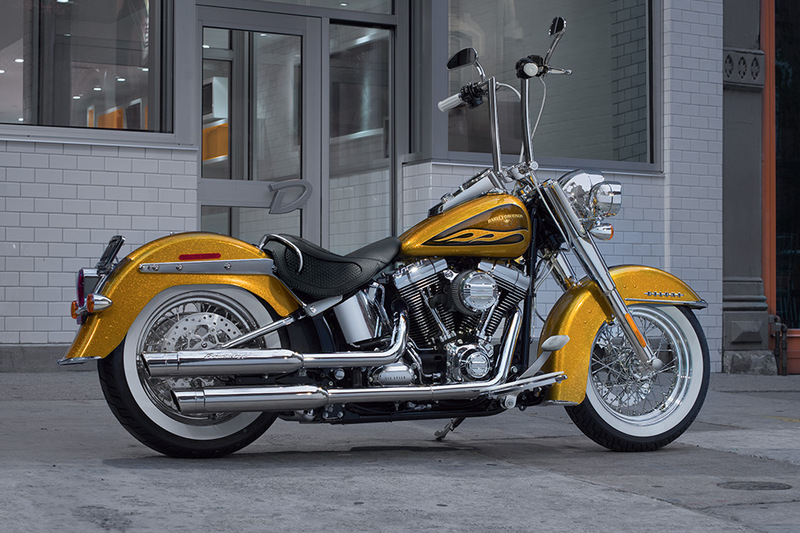 The Softail® Deluxe comes standard with a muscular V-Twin that delivers power and reliability, and the smooth shifting six-speed transmission helps you cover mile after mile. 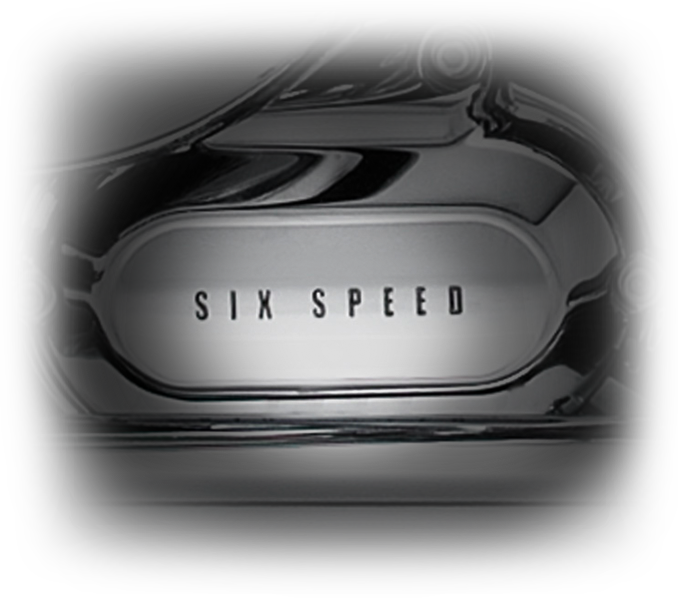 Six-Speed Cruise Drive® Transmission: The Six-Speed Cruise Drive® Transmission delivers easy, quick shifts. 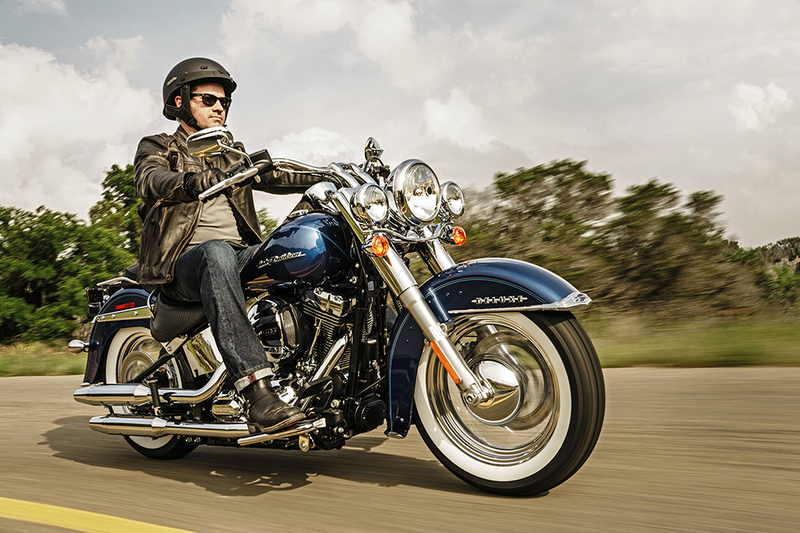 It’s a breeze to switch into the top gear for smooth highway riding, or slip down into fifth to power past slow moving traffic. 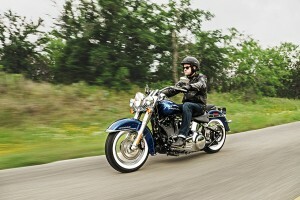 Pure Harley-Davidson Styling: The powerful Twin Cam 103BTM engine offers the looks to match its premium power. 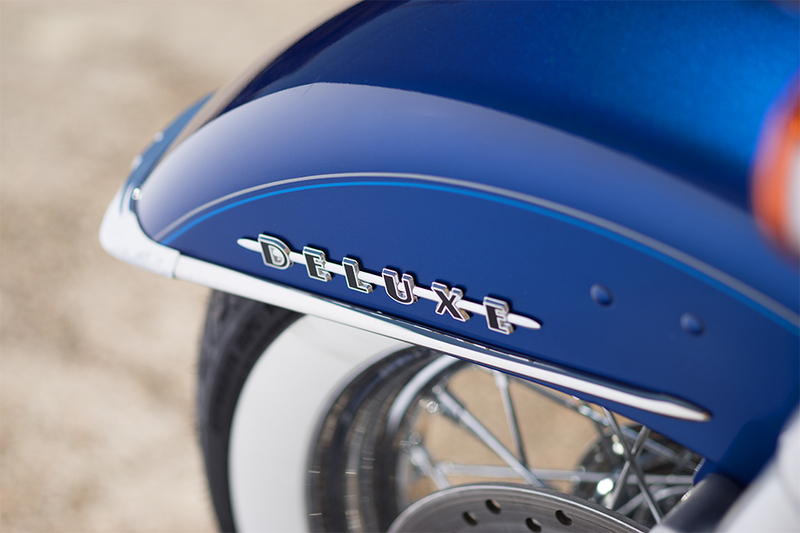 The big, chrome air filter, rocker covers, and machined cooling fin tips provide a shining focal point for the Softail® Deluxe. High Output Twin Cam 103TM Engine Heritage: This muscular V-Twin is the product of a century of engine development that includes iconic power plants like the Shovelhead, Panhead, Flathead, and others. This heritage lets you know that the engine will deliver time-tested durability. 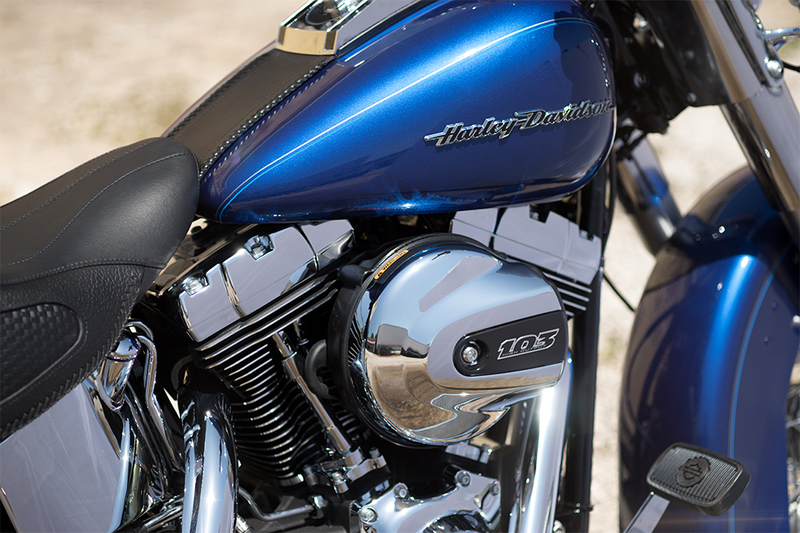 High Output Twin Cam 103TM Engine Power: Nobody’s ever complained about having too much power. The Softail® Deluxe has plenty of muscle to get up to speed whether you’re riding solo or two-up. High Output Twin Cam 103TM Engine Innovation: The latest technology gets incorporated into this classic V-Twin engine. 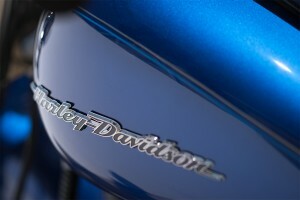 The newest features include electronic fuel injection and lightweight alloy pistons. The Softail® Deluxe delivers confident handling on the streets of Los Angeles as well as the slow, ambling turns of the country. 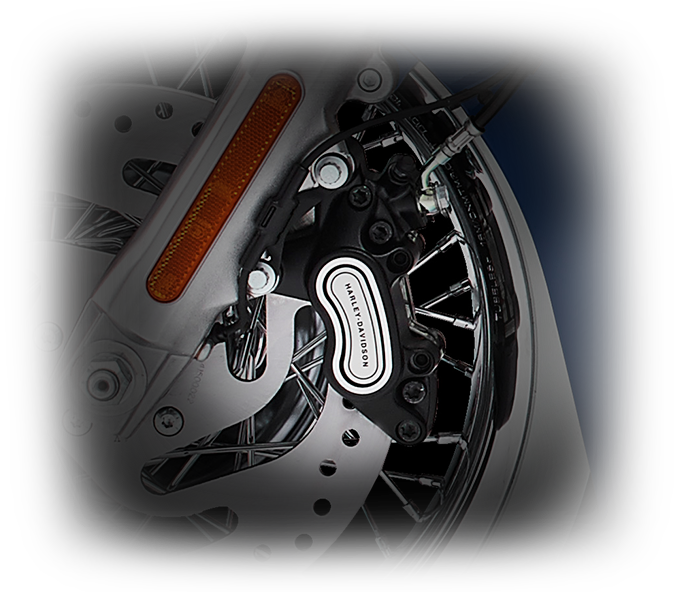 Front Brake System: Upgraded braking power is provided by bigger pistons, better calipers, and larger rotors. This means you can slow down exactly when you need to. 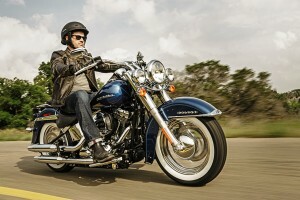 Dunlop® Tires: These whitewall tires aren’t just for looks. With premium rubber you’ve got awesome grip and excellent handling characteristics in all conditions. 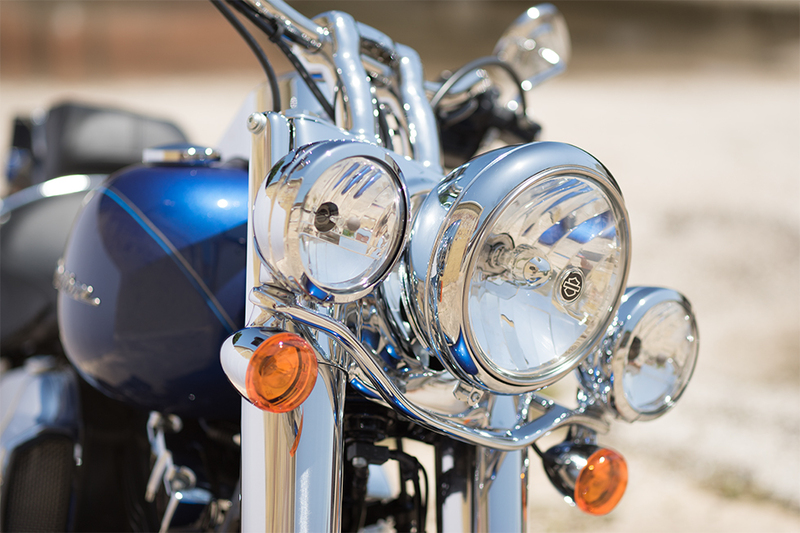 Electronic Throttle Control and Cruise Control: The electronic throttle provides simple, easy operation, and internal routing gives you a clean look. You’ve also got cruise control to help you devour those long stretches of highway with ease. 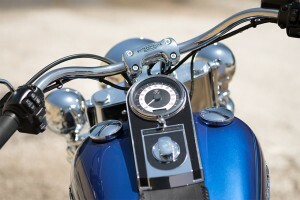 Ergonomic Hand Controls: It’s easy to overlook important things like hand controls, but Harley-Davidson® has you covered. They’re perfectly positioned to keep you confidently in control. It’s easy to see that the Softail® Deluxe is a modern classic that doesn’t skimp on contemporary features. 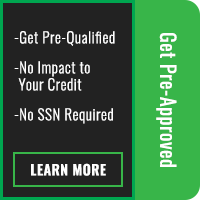 Standard Anti-Lock Brakes: You’ve got standard antilock brakes to help slow down quickly even in the worst of conditions. 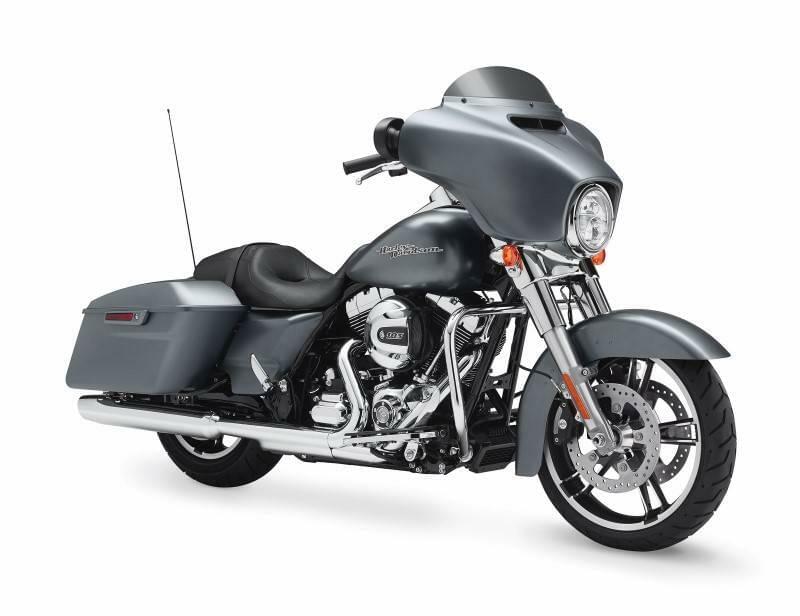 H-D® Smart Security System (Optional): The Harley-Davidson® security system protects your bike with a wireless keyfob that automatically activates the system when you walk away. 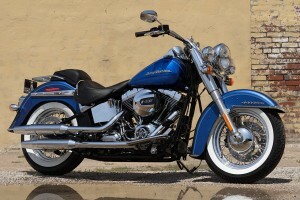 Comfort is key if you want to head out for long rides, and the Softail® Deluxe provides plenty of it mile after mile. 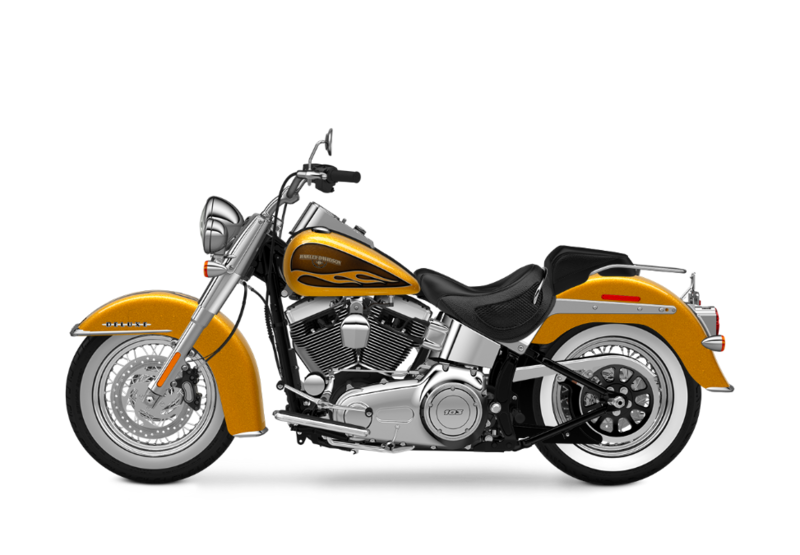 Full-Length Rider Footboards: It’s essential that you can put your feet where you want them, and with the full length floor boards, you can. 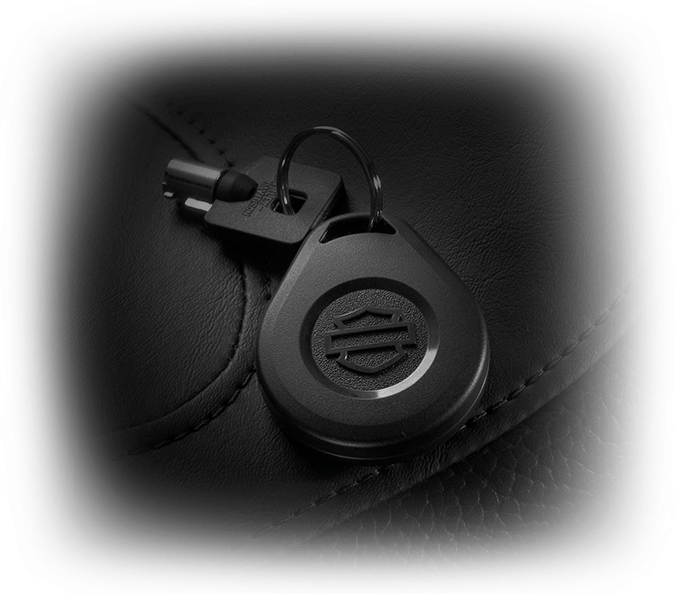 Rubber isolation pads help cut out vibration for added comfort. 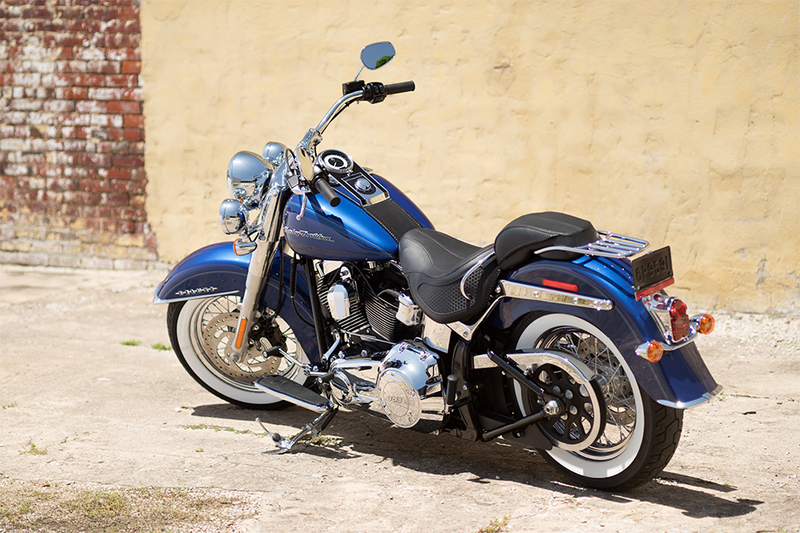 Low Seat With Slimmed Sides: The stylish two-up seat on the Softail® Deluxe sits at a low 24.5 inches, and it’s slimmed down to reduce pressure points. 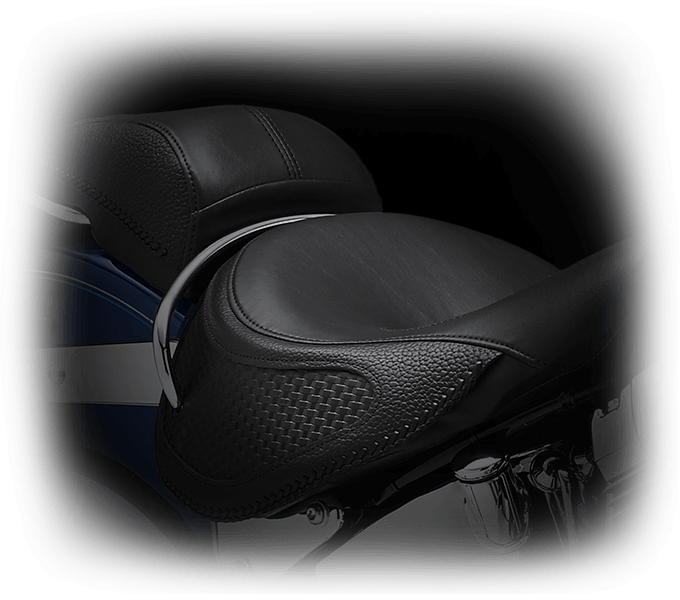 It’s perfect for riding in a confident, laid back position. Pullback Handlebar: With a generous sweep, these handlebars put your hands closer to your body for more all day comfort.